John Richard Linsley was born on 30 May 1826 at Ryde New South Wales, son of tinman John Richard and his wife Elizabeth, née Clarke. He married Mary Ann Ackerman at Sydney on 30 March 1846 and later married Agnes Orr at Sydney on 24 May 1860. He had one son and four daughters. He died on 4 June 1889. He was a Methodist who married with Presbyterian rites and was buried at Ryde Church of England. John Linsley was a general merchant with a butter stall at the Market Sheds in 1858. In 1867, he was a wholesale grocer in Sussex Street and also a butcher. By 1889, he had retired a wealthy man and become a ?gentleman?. He was acting magistrate from about 1873. He represented New South Wales in small bore shooting contests against Victoria. He visited England twice. 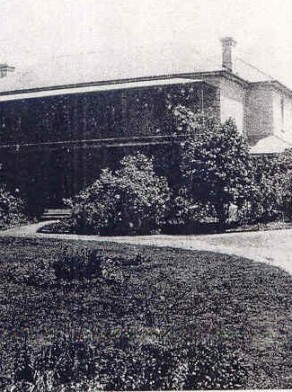 In 1876 he purchased Ermington Park and established the Linsley estate at Gladesville. Ermington Park House remained in family ownership until 1926 and was demolished in 1930. It gave its name to the surrounding Sydney suburb of Ermington and Linsley Street was named for JR Linsley. Linsley was a member of the New South Wales Legislative Assembly for Central Cumberland from 9 February to 4 June 1889. John Richard Linsley was Mayor of Ryde for three years from 1877 to 1879. He was Alderman for Gipps Ward on Sydney City Council, from 1 December 1871 to 30 November 1875. NSW Registry of Births, Deaths & Marriages. Indexes.